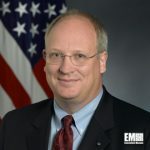 The American Council for Technology – Industry Advisory Council announced on Thursday that David M. Wennergren has been named chief executive officer, effective May 13th. Ellen Glover, former IAC Chair, led a search committee to recommend the best candidate for the position. Wennergren was selected from a large pool of candidates after an extremely rigorous search process. He will succeed Kenneth Allen, who served as CEO for 14 years. Wennergren served as the managing director of Deloitte Consulting since July 2017. He serves as the executive vice president and chief operating officer of the Professional Services Council, and is a fellow of the National Academy of Public Administration and a CIO-SAGE at the Partnership for Public Service. ACT-IAC’s new CEO previously held senior leadership positions with CACA International, the U.S. Department of Defense and the Department of the Navy. ACT-IAC is a non-profit educational organization established to advance U.S. government mission performance through the use of technology by enabling and leveraging government and industry collaboration. ACT-IAC provides a trusted and objective forum where over 12,000 executives from government and industry are working together to create a more effective and innovative government. ACT-IAC is the only forum where government and industry executives are able to sit at the table as equal partners to address critical issues, apply best practices and pioneer innovative solutions. ACT-IAC also provides high-quality learning and educational opportunities to improve the knowledge and expertise of the government workforce – both public and private.